Mulch & More - GreenScapes Garden Center & Landscape Co.
Then, divide this number by 9. 0.7716 multiplied by 3 = 2.314........ just over 2 yards needed. 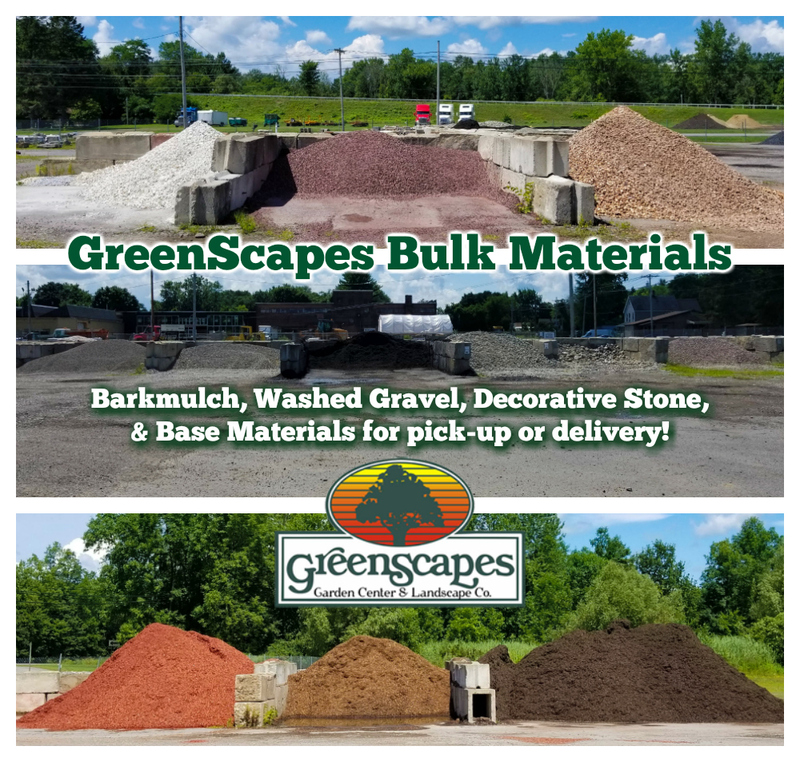 *Delivery of mulch, soil and stone is available. There is a 3 yard minimum for any delivery and a $40 minimum delivery charge. Charges will be quoted based on distance from Garden Center. **Note: Being an organic material, mulch, when damp, is the perfect environment for funghi growth. While it may be an eye-sore for the homeowner this orange-yellow growth is not harmful to the mulch or plants and can be easily removed from the area by raking.